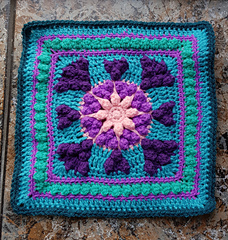 Free version on my blog. 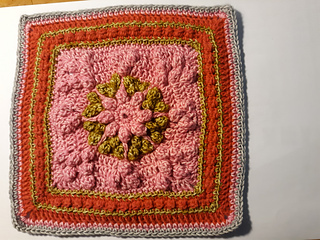 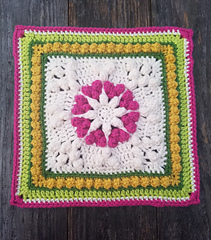 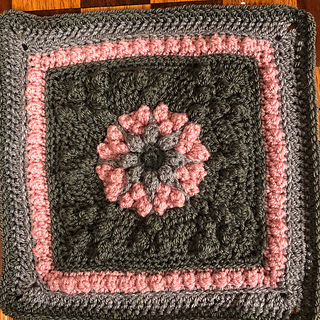 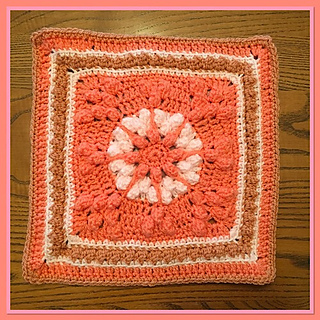 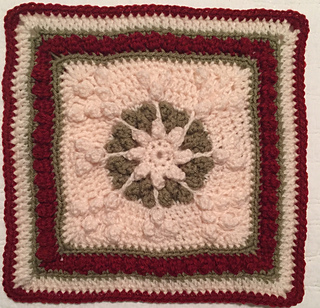 Here is the first block in our Block of the Week with JulieAnny 2019 Crochet Along. 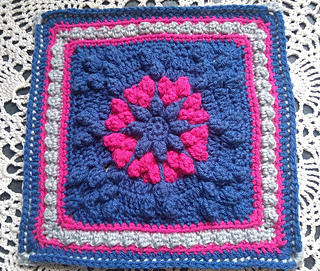 Please come and crochet along with me and 40 talented crochet designers with a new free afghan square every week. 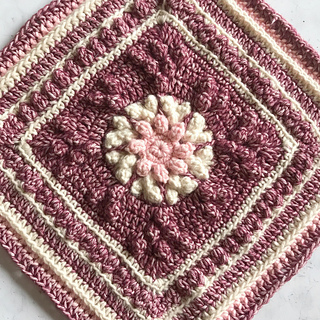 Block announced every Monday through November 2019 on my blog. 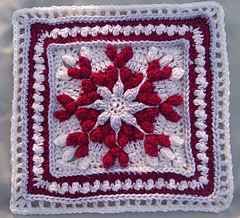 Discuss and share photos on my Ravelry Board and Facebook Group. 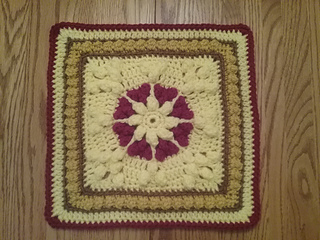 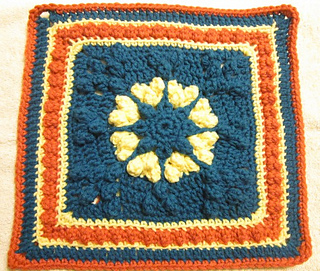 This is an intermediate square with Popcorns, a few post stitches, and basic crochet stitches. 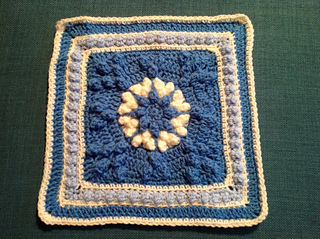 12” in worsted weight but all patterns are designed to fit together with similar final round stitch counts. 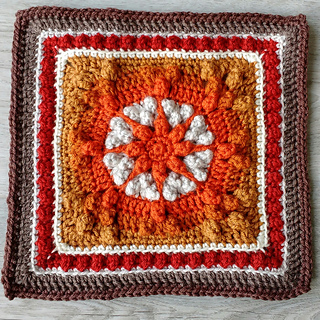 Use whatever yarn and hook you like. 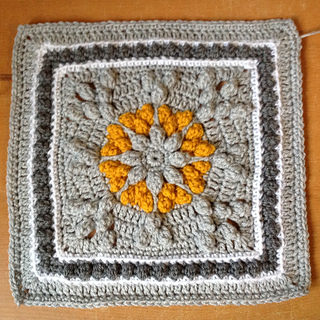 Sample is Scheepjes River Washed XL in Danube and Congo; and Scheepjes Stone Washed XL in Moonstone. 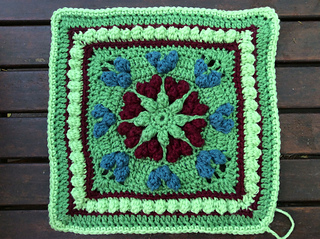 More information, including CAL Tote Bag information, on my blog, http://julieyeagerdesigns.com.